Can amarok get my VFD to dance? Kongrats on getting Amarok 2.4 out the door, i look forward to trying it in Opensuse 11.4. Q: does the whole Amarok/Phonon business now support graphical displayed equalizers bars, and can this information be transmitted to the VFD on my HTPC? Phonon supports visualizations already (that is, the two maintained backends: -VLC and -GSTREAMER). However, we are still working on the visualization itself for Amarok. We have pretty cool plans, but it will take some time. I expect it might be ready for Amarok 2.4.2 or so. 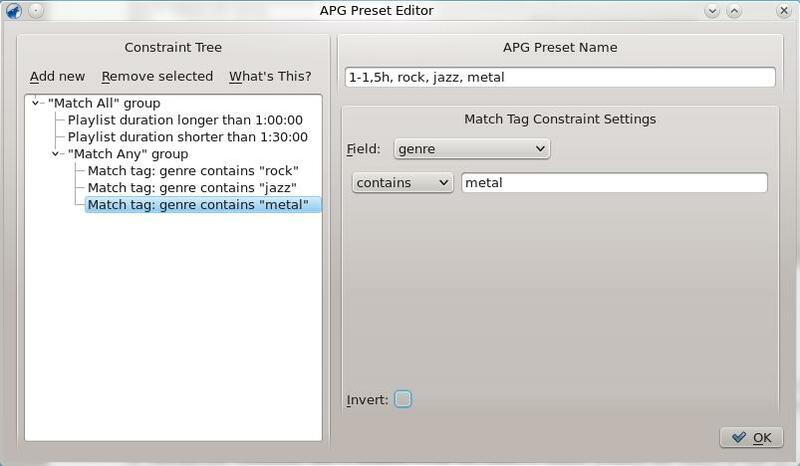 thx for implementing the automated playlist generator. it really helps me in my day to day routine. 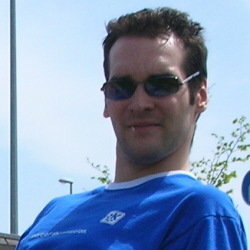 Non of the links to the various sections of Amarok Insider work properly. They only work once the reader has clicked "Read More", but they should work off the post summary at http://amarok.kde.org/ and at http://amarok.kde.org/en/Insider (only the "What's new" link works there, but I think that's just a lucky coincidence). Is there any rational explanation? 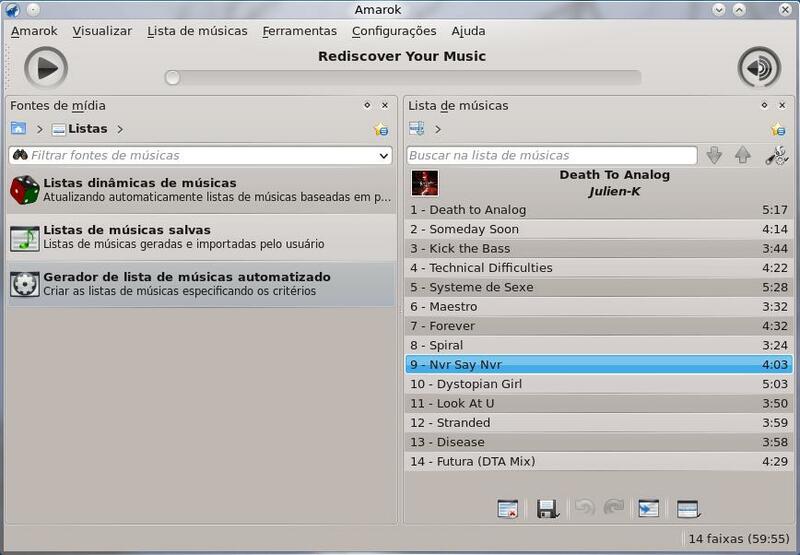 Beside this note, Amarok is great, I use it everyday and I can say: congratulations for such an awesome music player! It's a bit difficult to bring the size down, because the base install contains a lot of things, like the complete Oxygen icon set from KDE. However, it's of course possible to shrink that down, and we're doing that now. I expect we might eventually get it down to about 70MB. PS: Try the "Installer from Nitrostemp", it's a lot smaller. 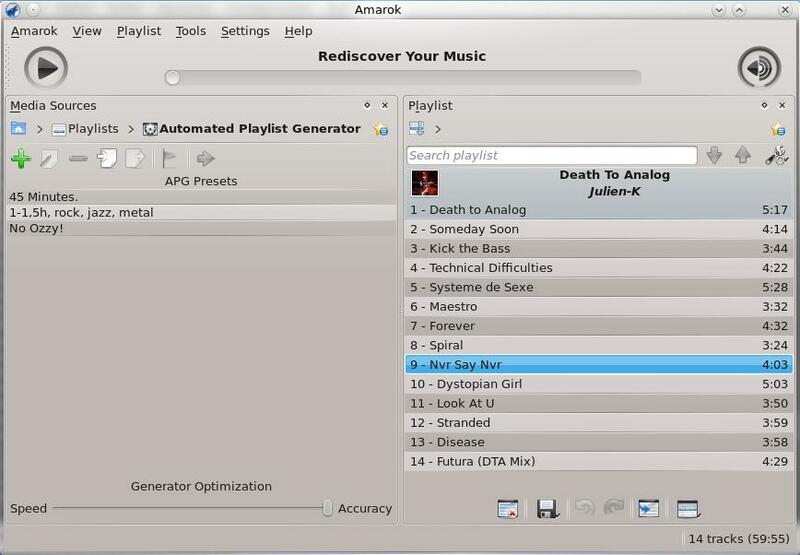 Amarok1 was a good Music Player. It did exactly what I wanted it to do. I loved all the little features of Amarok1. Even those basic things like filling my USB-Thumbdrive or a SD-Card or my Mobile with music. Amarok 2 is now over 2 years old and has a .4 version number. And still there is no support for copying my music to my media devices. Or the much praised APG. It is worthless for me. It worked only evry now and then. And if it worked, then it gave me unexpected results and only a little part of my collection, which for sure aren't what I wanted to heare. I miss the ability to tell Amarok to put all Songs I stared into the playlist and play them randomly. But sorted in a list like on my harddisk. Whats that hard to make a feature that was really good in Amarok1? KDE4 and Amarok2 are a mess! :( I'm really disappointed what happend to thos two faboulus pieces of software. I really hope Amarok will improve! I suggest you take a closer look at the context menu options in the browser pane of Amarok2. Specifically the option to 'copy to collection'. 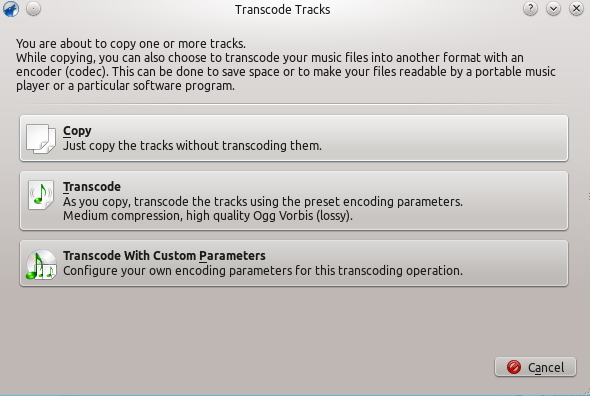 I've been able to copy music to my PMPs and storage media for a few versions now. 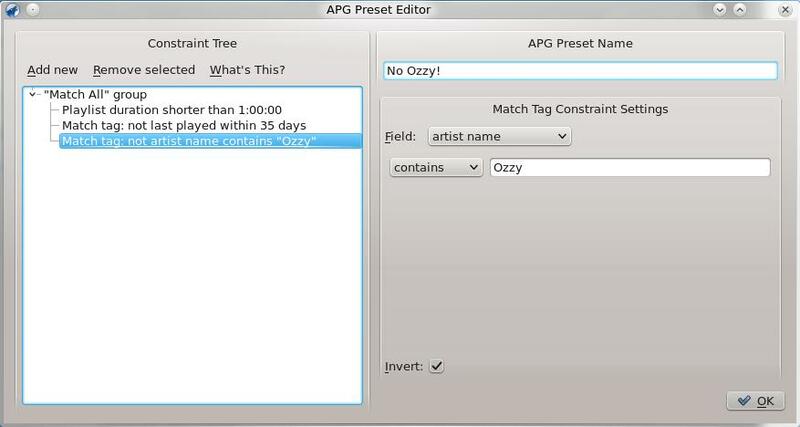 As for APG I haven't used it so have no advice to offer. Yeah. Found my way to it. Yeah. Found my way to it. Very hidden in my opinion. And like always it does not what I want it to. There are so many things that don't work as expected. 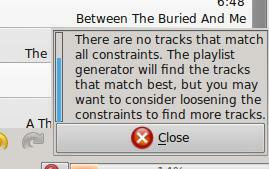 No way to make a que for copying songs to a media device. Only from Library to Library. Library's are either the Local Collection or a plugged in media device. And nothing else. This is not desirable. Multiple Librarys would may make more sense. The Que feature of Amarok1 was really cool. You could build up a que while listening to your collection and when ready plug in your device, copy the data and remove it afterwards. Amarok 2.4 wiped my Collection data in a very CPU intensiv and long running process. Like for so many people. Over 3000 Ratings and many more play-count statistics for over 16.000 songs. Lucky who makes Backups! I did. I'm sorry for all those who didn't. Amarok should make Backups by it's own! When changing the song Amarok uses up to 97% of the CPU and it takes about 10 seconds until the song starts playing and the CPU goes down to a normal level. You can only rate items that are played right now. I don't want to change the track only to rate the song 3 rows above the current. Streamdata does not update when the title Changes. Listening to my favorite Webradio for over an hour and still it shows the first Title. Widgets look cribbeld and overlay each other. On startup it tries to load the KDE Wallet, which takes hours to load. Not everyone uses KDE! 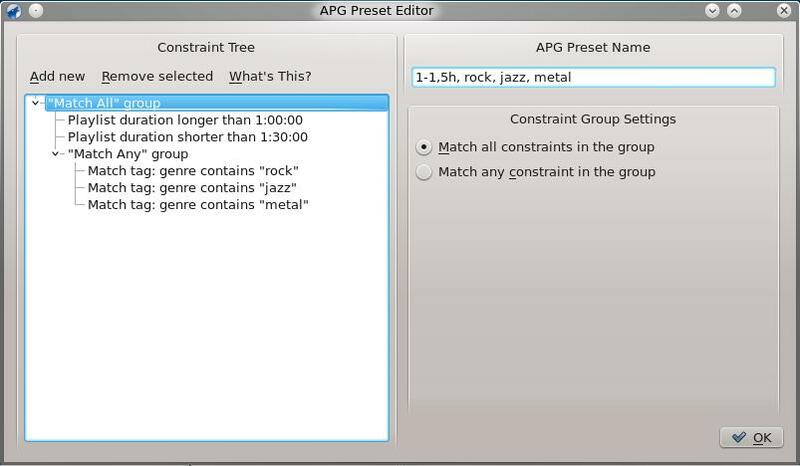 APG is limited in every single way, expect you only want to rely on Amarok to find exact those 10 songs you where searching for when telling it to play best of Rock. I don't know what I want to listen to. 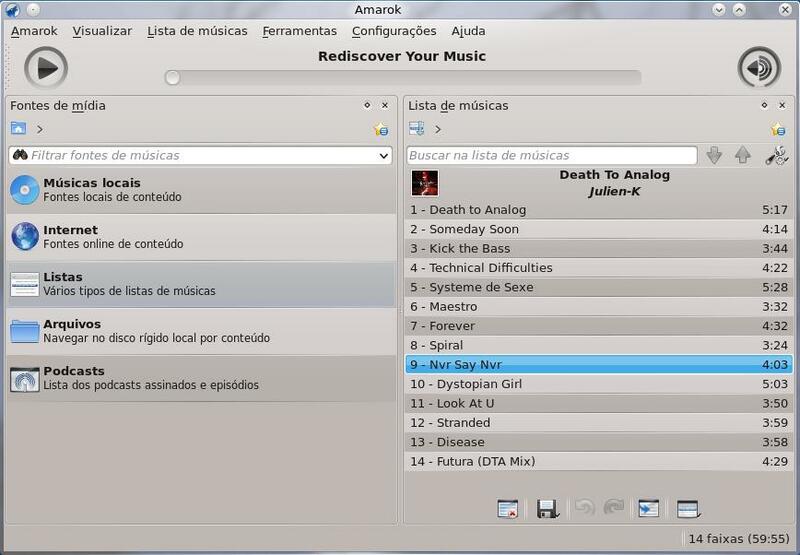 But for sure I don't want to listen to exact those 10 songs Amarok adds. Bad luck, I guess. Amarok should list all of my Rock songs, or if told so all of my Rock songs with a rating greater than 3. This way I can pick what I want to hear. Overall it's a frustrating experience.